The earlier released video is still available here on Youtube. It only describes the basic set-up though. In the mean time I completely rewrote this blogpost (and had it reviewed and approved by MaxCDN!). It now describes in great detail how to set up MaxCDN with Joomla, using the NoNumber plugin CDN for Joomla. Next to the basics, it also describes how to set up a custom domain, and optimize the SEO settings. Before you start, it is alwys nice to record your current sitespeed using a tool like Pingdom Tools or Google Pagespeed, so you can compare the before and after situation. Note that I have switched to KeyCDN currently, but MaxCDN is still a great CDN-provider. First, sign up for a MaxCDN account (you can sign up with a discount here). Then, from the console, click on Zones in the menu. 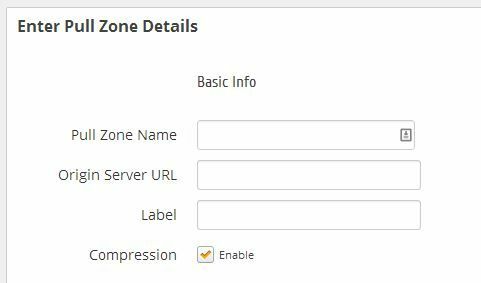 You can set-up multiple types of zones, but for the plugin we will be using we need Pull Zones, which is the first option available anyhow. Then click on Create a Pull Zone. This will open a screen where we can start filling in the data for your website. Compression: This switches on G-zip compression for the content on the CDN, switch it on. There are optional parameters to set a "Custom CDN Domain", but first, we don not fill it in. So, just click the Create button. This will now create the pull zone, while also "pulling" all available static content / files from your website to the CDN servers around the world. Once you have finished, a CDN URL will be created in your overview, like xxxxxxxxx.netdna-cdn.com". This is what you need for the Joomla plugin. If you want, you can also add more advanced parameters for caching, hotlinking, etc., but these settings are all optional. Install the plugin, go to the Plugin Manager and look up System - NoNumber CDN for Joomla!. The only thing you have to do is to fill in the earlier recorded CDN URL. You can finetune which files you actually want to be loaded from the CDN, but I usually leave these at their defaults, unless I encounter issues. Now save the parameters, and check if you see any speed improvements. My website already loaded pretty quick, but checking Pingdom Tools it seemed I gained another 25% through the CDN. MaxCDN also has a basic tutorial describing this procedure as well. This will create the configuration on the CDN side. However, you will also have to configure it on the host-side. Most of you will use a Cpanel, which makes this pretty easy, but you should be able to achieve this with any other tool provided by your hosting company. Once the CNAME is created, both the CDN and your host are set correctly. As the last step, you need to tell Joomla that the location of the CDN has changed. 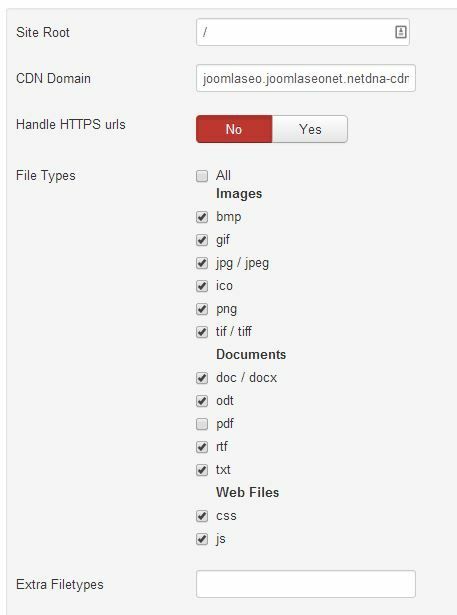 So, go to the Plugin Manager again and look up the CDN for Joomla plugin from NoNumber, and update the setting for the CDN Domain to use the custom domain (in my example cdn.joomlaseo.com). Well, that's it, a custom domain for your CDN, with clean URLs for your images! 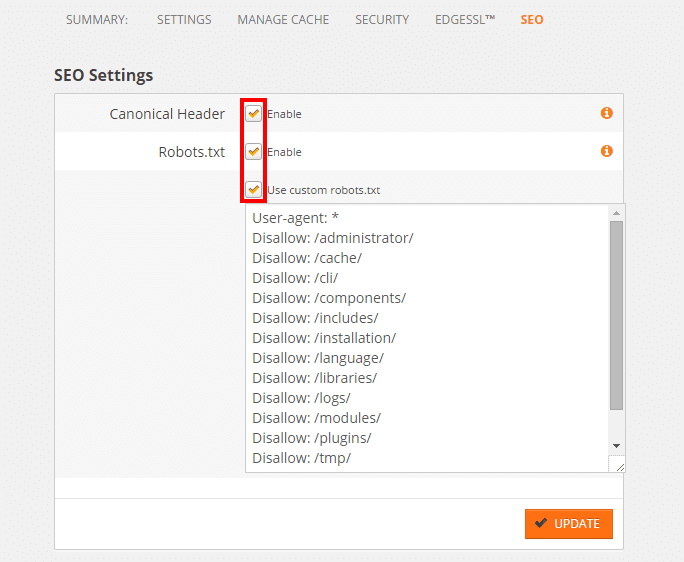 On the MaxCDN side, there are some SEO settings as well. The problem could be that Google now finds assets (mainly images) on 2 locations: your site, and the CDN, which is basically a copy of your site. The SEO settings ensure that Google knows there are duplicates, but also it is informed that it should only use 1. Canonical Header: This feature adds a HTTP header to your CDN assets to tell Google where the original file is hosted. This helps your site avoid duplicate content issues. Robots.txt: This feature adds a robots.txt file to the root directory, specific for the CDN, to disallow page crawl by search engines like Google. Custom Robots.txt: This needs to be exactly like the robots.txt file in the root of your site, they should be the same. As a result of all this, the images will be indexed from the CDN side. The last step: to inform Google that you truly own the subdomain, make sure you verify it in your Google Webmaster Tools account. This should be a 2 second step: If you have verified your current site using an HTML verification file, this file will also have been propagated to the CDN, so there is no need to re-upload it. So, simply ask Google to verify your new domain, and it will be verified.